In the fall of 1998, Matthew Shepard, a 21-year-old gay college student was brutally beaten and left for dead by two assailants. Shepard died a few days later in the hospital and national media soon crowded around the town of Laramie, Wyoming, where Shepard was murdered, questioning whether the assault and death of Shepard, an openly gay man, was a hate crime. The drama department reenacts the fallout in their newest production, The Laramie Project, which draws from actual interviews of Laramie residents. 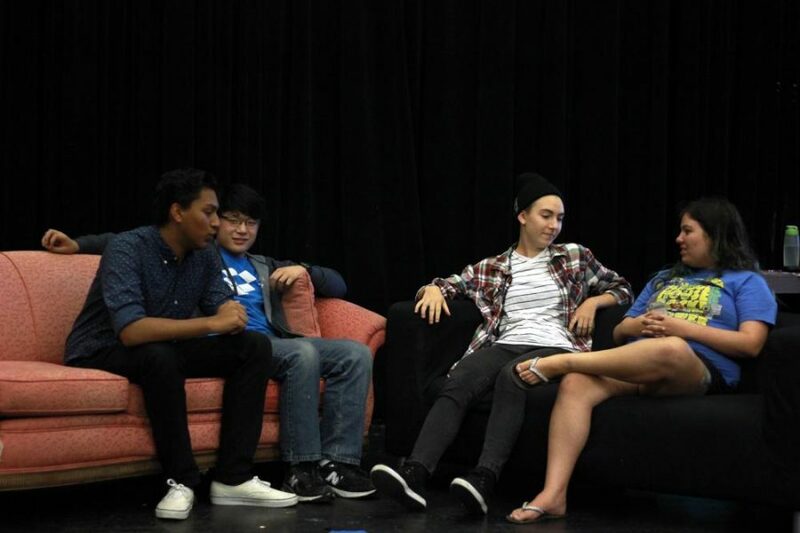 Actors from the drama production and members of the Gender Sexuality Alliance come together to discuss the effects and importance of the The Laramie Project and this production’s place in our community. The video on the discussion about The Laramie Project misstated the last name of GSA co-president Sierra Rodrigues as Rodriguez.